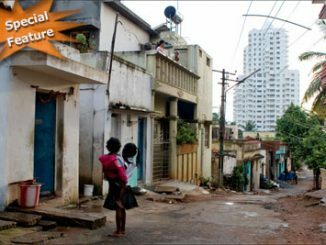 If you wonder about Bangalore, how the city used to be and where it is headed, this is the piece you must read. Despite divisions, the city appears to be miraculously free of the fatalism seen elsewhere. Invite yourself to the pleasures of grabbing a quick snack at the ubiquitous ‘standies’ that dot South Bangalore’s landscape. Just 17 kms away from Bangalore’s southwestern suburbs is a world where women die during childbirth and parents pull girls out of school just as they used to do decades ago. From now, Electoral Photo Identity Card (EPIC) is a must to vote in any election. Political, religious or cultural functions, loudspeakers blare away while authorities keep silent. New to Bangalore and have a day or two to poke around the city? Or do you have friends visiting and would like to show them around? Your start begins here. This week’s scan of Bangalore’s Kannada dailies includes a number of reports from Bangalore University passing students who returned blank answer sheets in exams to a Parliamentary committee expressing dissatisfaction over Bangalore International Airport. Whenever there is a performance by rafiki, my unqualified recommendation is to go and see it, says Deepa Mohan of the young theatre group. Tried reading a bus route number anytime? Anachronisms in our public transportation buses – from where the bus number boards are displayed to what is displayed on them. Bengaluru the new name fo Bangalore City is yet to be confirmed by the central government. Here’s the story on how Bangalore got its name and its evolution to Bengaluru. Inefficiency and creaky official machinery, it seems, are the only paradigms of work ethos in RTOs. Everybody knows it, but little is acknowledged and fewer still are the questions asked.